If you’ve had a chance to check out the first two weeks of the new Top Chef season, then you know that the producers have chosen to bring back competitors from each of the first seven seasons who came *this* close to winning it all. This “All-Star” season, set in New York City, pits some fan favorites (and some favorite villains) against each other in a rematch to see who has grown the most since their initial Top Chef appearance. 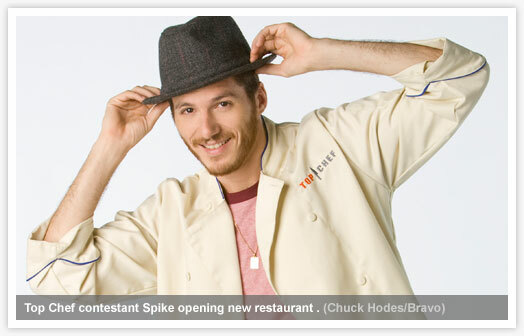 Spike Mendelsohn (Season 4 – Chicago), chef/owner of Good Stuff Eatery and We, the Pizza. In his first season, Spike came across as…arrogant. Has wisdom come with age? 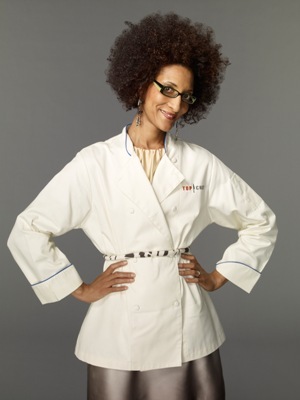 Carla Hall (Season 5 – New York), owner of Alchemy by Carla Hall. She’s transitioning from catering to gourmet sweets and savories. Hootie hoo! 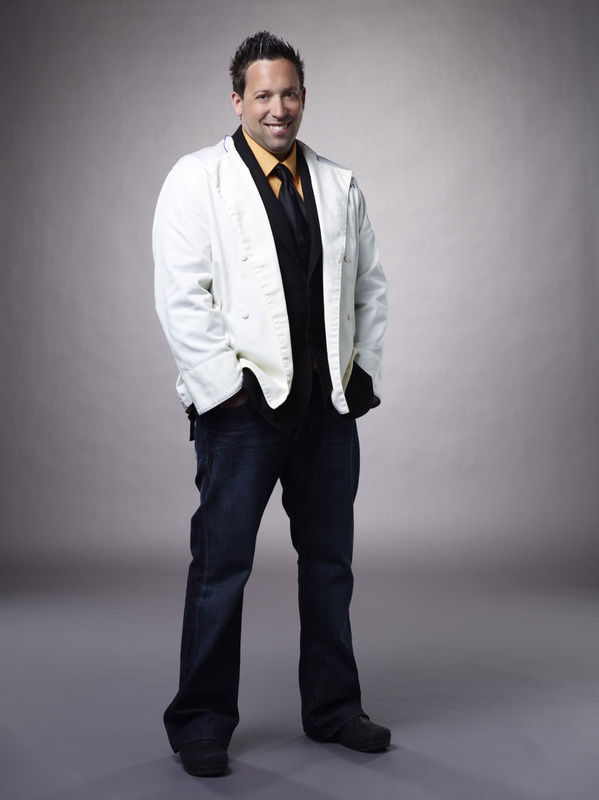 Mike Isabella (Season 6 – Vegas), who has moved on from his position at Zaytinya and is in the process of opening his own place, Graffiato. He had trouble with leeks last time around (what…that’s NOT what you remember about him?). Over the past two weeks, we’ve had a chance to chat with each of them. We asked about what they’re doing professionally, the differences between their first appearances and this season, and what made them decide to subject themselves to the pressure cooker competition again. Sure, a victory would be big for any of them, but each brought a sense of perspective to the show that they may not have had at first. Check out some of our conversations with the cheftestants – including big news from each about the directions their projects are heading – after the jump. MI: I did. And we’ve definitely put a lot of work into it since then. MI: One of the best things about this process for me has been the great people I get to work with. One of the restaurant’s investors is [Top Chef Season 6 runner-up] Bryan Voltaggio, and he’s been giving some great advice on the entire process. CS: It’s cool that you’ve stayed in contact since your season. MI: Absolutely, but it goes even further back than that. His brother and I both worked for Jose Andres and his sous chef’s friend worked for me, so we met through them. The restaurant world is pretty small that way. CS: So obviously you took a detour to tape the new season of Top Chef. What drew you to it? MI: I enjoyed myself the first time around, and I wanted a chance to show some more of what I can do. CS: Last time you definitely showed the Greek and Mediterranean influences of your cooking at Zaytinya. Graffiato has more of an Italian flavor. Is it safe to assume that some of that will show through in your performance this time around? MI: I’d say so, yeah, but I’m still doing my dishes and my flavors. CS: And will viewers see a similar Mike Isabella? MI: Yes and no. I was more aware of the “show” aspect this time, but I wasn’t playing to the cameras or anything like that. CS: Did you feel like you had something to prove coming back to Top Chef? SM: “Something to prove” is part of every good chef’s DNA, but it was more about coming back and having a good time with friends. I’m in a different place – before I had nothing to lose and now I have two restaurants, a cookbook. I’m representing a lot more than just myself. CS: What do you mean? SM: The first time around I could be a jackass, be a bit sneaky. I was trying to make a name for myself. Now I work with charities and programs and my actions are a reflection on them, too. CS: It must have felt pretty good to hear Anthony Bourdain’s comments on your scallop dish. SM: Totally. I could have gotten kicked off right then and there and it would have felt great. I mean, how many times have I reworked that dish in my head? And to get a compliment like that from someone like Bourdain? CS: Here in DC, things are going really well at both We, the Pizza and Good Stuff Eatery. How do you keep that momentum going? SM: We’re actually about to shake things up pretty significantly at We, the Pizza. We’re adding calzones and stromboli to the menu and taking off the sandwiches. It’s an evolution of the original concept to focus more on the pizza and other items that are a natural extension of that. SM: We’re really happy with what we’ve created. It’s strong and we’re ready to push forward, but we need to do it right. We’ve brought on a Director of Operations [Chef Travis Timberlake of Art & Soul] who will oversee the DC team, and my family and I are going to be hands-on as we expand both inside Washington and in other cities. CS: Does that mean franchising? SM: Good Stuff is going to be franchising AND adding corporate-owned locations. Our first prospect is in Chicago and then a few more locations in the DC area. 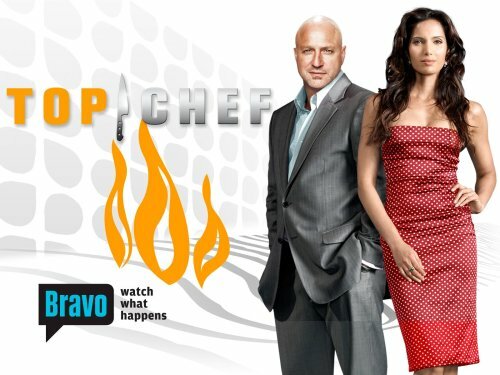 CS: To get back to Top Chef…what was it like to be competing with all of those personalities again? SM: All of us have gone in many different directions, so the All-star season is like a reunion. It doesn’t define us…it’s still just a television show and a competition. Don’t think that what you see of us on the show is a complete representation of who we are. CS: It’s safe to say there are a lot of fans out there who are happy to see you competing again after such a heartbreaking finale to your season. CH: It’s so sweet. You know, I wasn’t sure I wanted to do it. I was afraid that Alchemy [her catering company] wouldn’t be able to handle the business volume that would come in from me being on the show. You can do well as a really small or really big catering company, but if you’re a medium-sized company like Alchemy it’s really hard to make it work right. In the end I decided to shut down the catering altogether. CH: Actually, it’s the first step in a larger plan that I’ve always envisioned for Alchemy. I’m in the process of launching a line of sweet and savory cookies to start off and I’ll be adding other things as well. CS: Good for you. So what was it like getting back into the Top Chef environment? CS: You’ve been great about owning the outcome of your finale, but what was it like when the first challenge was revealed and Casey was there in the room too? CS: Were you intimidated by any of the competitors? CH: Sure, they’re all really talented chefs. To me, the big question was how the judges were going to compare talents in completely different cooking styles. Richard Blais is a master of molecular gastronomy, but how do you judge that side by side with someone who cooks classic Mediterranean or French? CS: It sounds like a dog show – each of the best dogs from their breeds competing against each other for overall best. CS: You got a lot of praise for the way you approached the competition – you were always positive and didn’t engage in any of the backstabbing or pettiness that sometimes rears its head in reality TV. Did you feel like that approach was more prevalent in this season? CH: Absolutely. The mutual respect that comes from all of us being aware of each other’s talent helped a lot. I hope that this season will encourage future competitors to have more fun. I know I was impressed with the way some of these chefs have matured and developed as people, not just in terms of skills. CS: As a fan and a Washingtonian, what did you think of the most recent season? CH: I haven’t seen all of it yet, but I thought it was pretty good. You didn’t get to see as much of the city as I would have liked, but I’m sure it’s really tough to balance showcasing the city with maintaining tight secrecy while you’re filming. Overall, I’d say the season was a lot like Washington itself…serious and conservative.